The day has come for the Qurator Project to step up its game. We are proud to announce we have set up a witness and will be playing a bigger role in the Steemit community. What exactly is the Qurator Project? Let's start with some background first. The Project was started about 6 months ago by @scrooger and @gingerninja. The initial idea was to offer constant support to all the Steemit users who post original and quality content. The Project started small, with only a few members. In a few weeks, the Project started to really blossom into a full-fledged steemit support system that focuses on new members, minnows, and older steemit users. Fast forward to 6 months later we now have over 1200 members who have all been manually reviewed and approved to take part in the Project. We pride ourselves on only accepting members who post original content. We have several moderators who review accounts and only when we see correct image sourcing and zero plagiarism, will we accept the new members. With growth and time, we have brought the hammer down and become quite strict with approvals. We also have systems in place to monitor older members to make sure they are keeping up with quality content. We focus on users who post quality/original content. Each day 5 members will be selected and their posts will be featured in the Daily Qurator. Once a day we will resteem 2 posts from our members. Members will get an upvote from @qurator once a day. We are limiting upvotes to once a day because we want to keep it fair for all the members. Since some post more than others. The bot can only upvote you once every 24 hours. Weekly Food and Photography competitions. Biweekly anything goes post-promotion competition. Qurator exclusive pay4vote support bot, @qustodian. Great for members and investors. Upvotes valued at 2.65 times the amount of SBD you send it (limited to 1 upvote a day, any extra SBD sent will be refunded). Investors who delegate to @qustodian get paid 90% of all the SBD sent to @qustodian every 24 hours. What goes on behind the scenes of Qurator? We are a small team of eight who are running the Project. We all work together and each plays a role in making sure the Project runs as smooth as possible. We have an active Discord server where we help members with any Steemit related questions they might have. We offer editing, image sourcing, writing and general Steemit support. Constantly trying to motivate our members to be the best Steemit bloggers they can be. @scrooger - Creator of Qurator, handles the posts, and funding the witness. @goldendawne - Writer/moderator - manually selects posts from our members and write about them in our Daily Qurator. 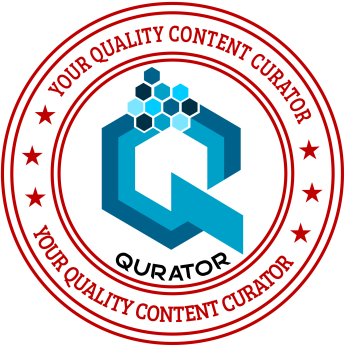 Once a member applies to join Qurator we take the account and the team manually evaluates it. Once a unanimous decision has been reached we either approve or deny the account. Once approved the member can expect daily upvotes from Qurator. If denied they are more than welcome to come and have a chat with us about why they did not get approved. We have had many members who have come to us for guidance and help. We help them with correct sourcing and better blogging, and in the 2nd round they were approved. Why did we decide to become a witness? We are growing in numbers and even though many members have been so kind to delegate Steem Power to Qurator the demand is just too high and expensive for us to support everyone. All our SBD goes towards leases and I (@scrooger) have personally sent over a lot of Steem to help cover the leases and keep our SP high enough to support all our members. With extra SP we will be able to delegate to other steemit projects and offer some mutual support. We have many on our radar and will be delegating our SP to them as we grow. We will always be supporting those who try to make a difference on steemit. We are a community project and most of our upvotes/support come from our members. Mostly minnows or new users that do not always have a lot of SP. Their upvotes are greatly appreciated and we love them for it, the more the members support us the more we can return the favor and offer better support. While we do not see a lot of whale support we are grateful to everyone who supports the Project. (Special thanks to @alexis555, @redes, newhope, @ripperone, @simnrodrguez and @mangos who have been some of our biggest upvoters.) For those who would like to delegate or upvote the Qurator Project, it will help us a lot and will really go a long way in helping the Project to support more members. We are a community project and that means we are only as strong as the community makes us. Each upvote, each delegation and every bit of support that we get we use to give back to our members. ALL our SBD goes towards our members in the form of delegation leasing and then upvotes. The more member support we get the better we can support our members. Qurator has seen some great growth over the last few weeks and we have no one to thank except our members. You guys are the rockstars and you are the ones making Steemit a better place for those who really need the extra exposure and upvotes. Thank you. With that being said. 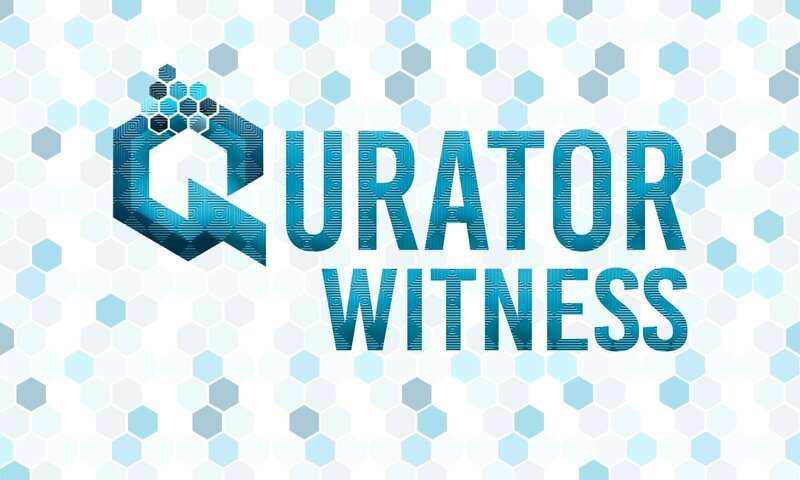 The witness will be up and running and the Project will really appreciate it if you could consider us for one of your witness votes. It will go a long way in helping our community grow. The Qurator Project will keep improving! We always listen to our members and we will keep improving our service and offer all the support we can to all our members. Being it through upvotes, competitions or the advice on Discord. We are here for all of you who post your heart out and need the recognition and upvotes you deserve! Starting small and once we get multiple blocks a day we will look at a backup witness server. Vote for us as a witness. Also thanks to @valorforfreedom and @quochuy for helping with the setup.